Duro-Last is a single-ply membrane system that is ideally suited for flat or low-slope commercial roofs. 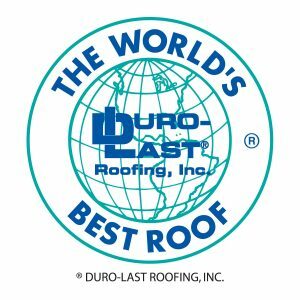 But unlike TPO Roofs, which are another single-ply system, Duro-Last is actually manufactured to the exact specs of your roof. 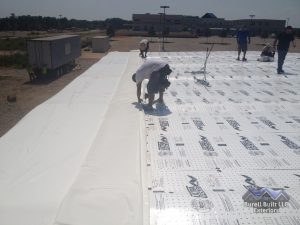 This important distinction means that we can eliminate 85% of the installation seaming, leaving you with a smooth, waterproof surface that can withstand the Tennessee elements. Call the professionals at Burell Built Exteriors to learn more about Duro-Last commercial roofing in Knoxville, TN and Chattanooga, and to schedule a free estimate for your property! We’re proud to offer the Duro-Last system to our Knoxville, TN and Chattanooga, TN commercial property owners. With over 20 years of experience, we can vouch for the performance and quality of this material. This system requires special training and expertise to properly install or repair, so trust our Duro-Last Master Installers and know that you are truly going to get all the long-term benefits that Duro-Last has to offer. To learn more about the single-ply membrane systems we install and repair (such as Duro-Last, TPO, EPDM, PVC), contact us today! Commercial property owners may wonder why ease of installation is such a big deal, especially since they’re not going to be the ones doing the install. But here’s why it matters: your customers and tenants need to maintain business as usual during the day, and there is little more disruptive or frustrating than lots of noise, mess, and activity detracting from their ability to do best what they do. The Duro-Last roofing system can be applied right over the existing roof. This eliminates the need for messy removal efforts or the risk of debris and materials falling off the side of the building. The installation does not require loud machinery, nor toxic fumes, tar, or hazardous materials. In most cases, we can install or repair a Duro-Last roof without disrupting anyone inside. We’ll take our usual care when cleaning up before clearing the site, so you don’t have to worry about a cumbersome roof project interrupting business. Contact our team in Knoxville, TN or Chattanooga, TN to schedule your Duro-Last commercial roofing estimate or repair! Updated on September 16, 2016 at 1:27 pm by Burell Built Exteriors.